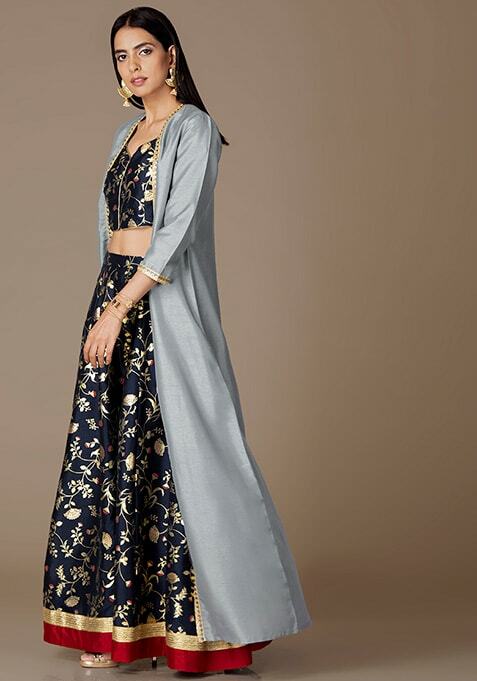 Tweak your ethnic ensembles with this light blue grey maxi jacket that can be paired with a variety of outfits. Features embellished gold lace and three quarter sleeves. Work It: Get party ready by teaming this jacket with a crop top and palazzo pants.